Perhaps the true symbol of New York, however, is the Statue of Liberty, which is one of the most visited sites in the world. Live your dreams and visit New York! This beautiful 1919 hotel is located in the heart of New York, by Madison Square Garden, Penn Station, the Empire State Building and Macy's department store. Around the hotel, a plethora of shopping opportunities, bars, restaurants, and a diverse nightclubbing scene is only 1 km away. A capacious foyer with a 24-hour reception desk, currency exchange counter, cloakroom, lifts, and WIFI in public areas (charges apply). Enjoy some time in the café, the kiosk, one of the six restaurants with American specialities, or in the cosy bar. 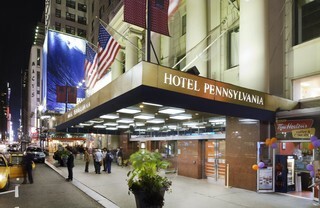 The hotel is ideally located in the centre of Manhattan, close to New York City's attractions. Within walking distance, guests will find Madison Square Garden, Times Square and Herald Square, the Rockefeller Center, St. Patrick's Cathedral, the Chrysler Building, Grand Central Station, and a plethora of restaurants. Various shopping venues are to be found about a 5-minute walk away. This modern 24-storey tower puts guests in the center of all New York City landmarks. Located in Downtown New York, just two blocks from Madison Square Garden, this hotel is also five blocks from Fifth Avenue shops and six blocks from the Empire State Building. Penn Station and the closest metro stop are about 3 minutes' walk from the hotel. John F Kennedy International Airport is approximately 28 km away. La Guardia Airport is about 15 km and Newark Liberty International Airport is roughly 27 km from the property. This hotel features a business centre and complimentary high-speed Internet access in public areas, making it ideal for corporate trips. There are 228 guestrooms equipped with cable/satellite TVs and in-room movies. Rooms are also fitted with multi-line phones with voicemail, a radio, individually regulated heating and many other useful commodities. The gym is available 24 hours a day and Liberty National Golf Course is about 15 minutes' drive away. Situated in New York’s Garment District, this contemporary design hotel is only a few steps from the Madison Square Garden, home of the New York Knicks basketball team. Grand Central Terminal and the famous attractions of Midtown Manhattan such as Times Square, the Broadway Theatre District, Rockefeller Centre, Radio City Music Hall or the Museum of Modern Art are just a short stroll away. The comfortable rooms have been decorated in warm, soothing tones and come with useful amenities such as Wi-Fi internet connection and a microwave. This wheelchair accessible hotel also includes a business centre and fitness room, ideal for those wishing to enjoy an invigorating workout. A delicious complimentary hot breakfast is served every morning for guests to kick start their day. With its location in the business district and within one block from the Empire State Building, the attractive hotel Hampton Inn Manhattan-35th St/Empire State Bldg is ideally situated in the heart of the city that never sleeps. Famous attractions such as Macy's, Penn Station, Grand Central, 5th Avenue, the Broadway, Times Square, Radio City Music Hall or the Rockefeller Center are within a short stroll.The hotel offers bright and spacious guest rooms with a modern, elegant decoration. They feature all the necessary amenities such as flat-screen TV. Business guests will appreciate the complimentary wireless internet access and the 24-hour business centre. After a long day of working or sightseeing, guests can enjoy an invigorating work-out in the complimentary fitness centre. 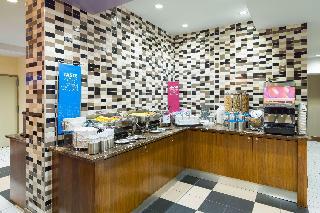 A free hot breakfast provides guests with the necessary energy for a day in the Big Apple. 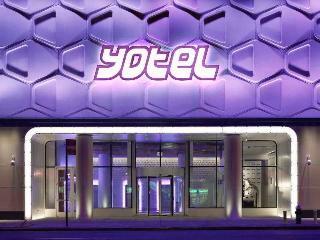 This hotel is a perfect place both for business and leisure travellers. This hotel is centrally located in New York, lying amidst the bustle and excitement of this mesmerising city. The hotel is located within easy access of a wealth of attractions, making it the ideal option for those seeking exploration and discovery. 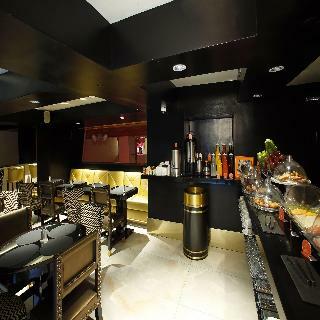 The hotel is situated in close proximity to shopping centres and points of business and entertainment. 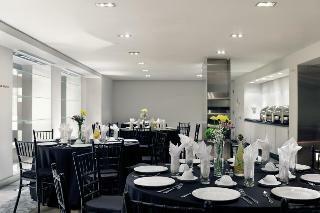 The hotel enjoys an elegant design, exuding sophistication and grace. The guest rooms are eloquently appointed, offering a comfortable setting in which to escape the bustle of the city which lies just outside. Offering exemplary facilities and first-class services, this hotel offers everything that guests will need to make their stay as enjoyable as possible. Classic cool. Curated comfort. This is The Gregory. 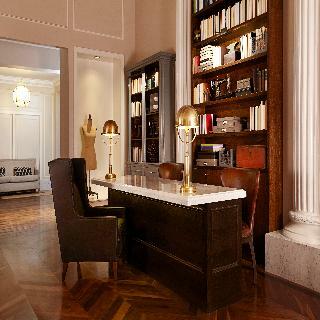 Housed in the site of the former Gregorian Hotel, The Gregory is a new luxury Herald Square Hotel. NYC's history, culture, and haute couture run through halls. Restored and reborn in 2015, The Gregory is a star among boutique hotels. This is a design hotel in New York City centre. Enjoying an enviable location in Times Square, this stylish hotel is close to the Radio City Music Hall, the Museum of Modern Art, Rockefeller Center, St. Patrick's Cathedral and Central Park. Guests will find a range of restaurants and nightlife venues nearby and shopping opportunities can be found in Soho, approximately 10 minutes away by public transport. Times Square subway station is located around 200 m from the hotel. Set in a prime location in Midtown Manhattan, a 5 minutes' drive from Times Square and 2 hours from New Jersey, there is this beautiful building, erected in 2011, the first full LEED hotel in New York City. Attached to the Signature Theatre group, the hotel has 699 rooms and offers multiple lounges and communal areas with more than 2,000 m2 of public space. 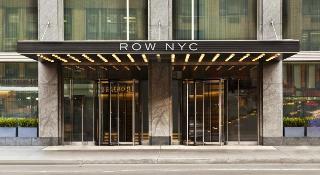 This full-service hotel, boasts the largest outside terrace space of any hotel in New York. Welcome to the hotel to one of the trendy hotels in New York - Times Square, just steps away from the Broadway Theater District. Along with stunning views of the Empire State Building, our New York Times Square hotel offers an enviable location near Rockefeller Center, the Chrysler Building, Madison Square Garden and other iconic attractions. The Port Authority Terminal is moments away, and the Jacob Javits Center is a short walk – perfect when visiting for a convention.Our friendly staff looks forward to welcoming you with a signature warm chocolate chip cookie at check-in. Settle into a guest room with a 40-inch HDTV, premium cable, coffeemaker and well-equipped workspace. WiFi access keeps you connected and blackout curtains ensure a great night's sleep. Upgrade for a higher floor, prime city views, satellite TV and a walk-in shower.For memorable Times Square dining, visit our Magnolia Restaurant for delicious American favorites all day, or unwind in the rooftop lounge with live music and unobstructed views over Manhattan. Relaxing in your room? Call on room service for a tasty meal delivered to your door. 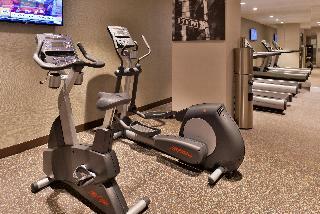 Keep up with work in the 24-hour business center, and burn calories in the complimentary fitness center. We offer 1,000 sq. 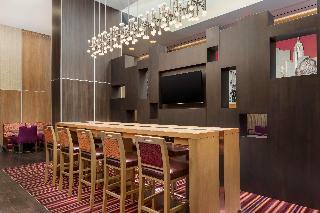 ft. of stylish New York City meeting space for your next small meeting or social event. New York City, in New York state, is the United States' largest and most important city. It has long been one of the world's most important business and finance centres. Some highlights include the site of the new World Trade Center. The design for this was proposed in 2003 and the centrepiece will be one of the world's highest buildings, at 541.3 metres. The building is to be called the Freedom Tower. There is also to be a monument in honour of the victims of the attacks on the old World Trade Center. There are many other sites to see. Recommended are the Bronx Zoo, New York's largest; the Brooklyn Bridge, which, crossing the East River, is an emblem of the city; and Central Park, with its artificial lakes, two ice rinks and much more besides, surely one of the world's most famous parks.